Estimated monthly expenses for The Suites at Sugarmill Point are about $5,945. This is greater than the Houma estimate of $5,003. The estimated average expense across Louisiana is about $4,097, which is less than the US average of $4,978. Located within Houma, Louisiana, The Suites at Sugarmill Point provides senior living in a caring environment for elderly people. The area surrounding this community has a dense population, with about 26,429 people in the 70360 zip code. It is a generally average income area, with an average per-home income of $69,766. They are conveniently located, with retail shopping, religious services, and health care facilities all within the surrounding area. They're just 1.7 miles from Terrebonne General Medical Center. There are 20 churches within 4 miles, including Grace Lutheran Church, Living Word Church, Mulberry Baptist Church, and First United Methodist Church. There are also 10 drug stores within a mile of the community. 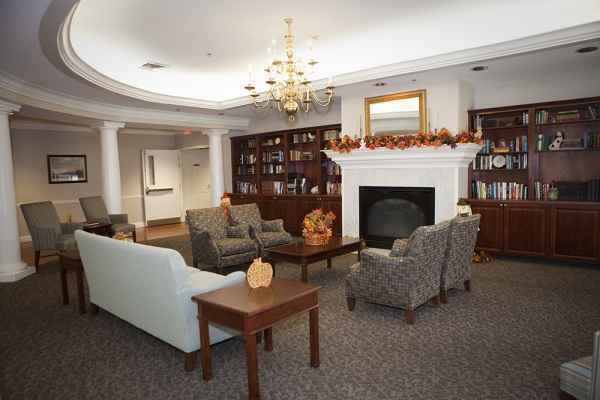 The Suites at Sugarmill Point offers dementia care, nursing home care, and assisted living. They can provide care for seniors at all levels of dementia or Alzheimer's who require assistance with daily chores and monitoring to avoid them from wandering. Also, they can accommodate seniors who are seriously infirmed and require help with day-to-day activities and who need to have frequent access to medical services. In addition, they can service seniors who require help with daily chores such as meal preparation, personal hygiene, and housekeeping, but who are mobile and are mostly independent. This provider boasts various room amenities like regular maid service, central air conditioning, on-call maintenance, and in-room cable television. Additionally, they provide a myriad of medical services such as help with medication, speech therapy, occupational therapy, and general assistance with personal care. They also provide a few different personal services including transportation assistance, a 24-hour staff, and dry cleaning service.